Review: Engaging Ideas: The Professor's Guide to Integrating Writing, Critical Thinking, and Active learning in the Classroom, 2nd ed. Bean, John C.. 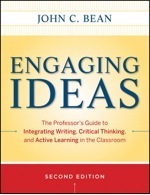 Engaging Ideas: The Professor’s Guide to Integrating Writing, Critical Thinking, and Active Learning in the Classroom. 2nd ed. San Francisco: Jossey-Bass, 2011. The aim of John C. Bean’s Engaging Ideas: The Professor’s Guide to Integrating Writing, Critical Thinking, and Active Learning in the Classroom is to help teachers design and incorporate engaging writing activities into their disciplinary courses. Readers will appreciate the pace of Engaging Ideas as Bean carefully scaffolds the contents of the book; he presents the theoretical background that supports writing integration before he recommends strategies for coaching the writing process. Following this, he offers examples of discipline-specific writing assignments and suggests how teachers can effectively develop similar exercises in their own fields of study. Bean’s intention for the book originates from his observations of academia. 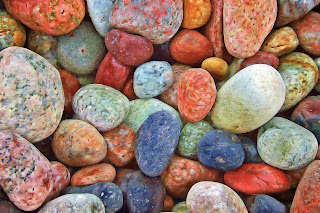 Witnessing that professors shy away from incorporating writing assignments into their courses because it requires hours upon hours of grading, he introduces the book as a mission to dispel this fear by challenging academics to rethink what is meant by the term “writing assignment” (12). Bean convinces readers that they can associate positivity with the term “writing assignment” if they learn to welcome transparency into the development of writing exercises. Bean encourages educators to make the writing process part of the final grade, that is, to develop a writing assignment that requires students to submit drafts, notes, and doodles before (and then also with) the final paper. Bean claims that such strategies will ease the grading load, as professors will be able to revise and edit assignments long before the final papers appear on their desks. Not excluding the benefit educators will gain from the theory, exemplars, and strategies in Engaging Ideas: The Professor’s Guide to Integrating Writing, Critical Thinking, and Active Learning in the Classroom, Bean’s book is a worthwhile read if only because his optimism toward the term ‘writing assignment’ is contagious, and as such propels us to spread enthusiasm toward writing integration throughout academia.